NEVER wait at the box office to buy US Open tennis tickets! 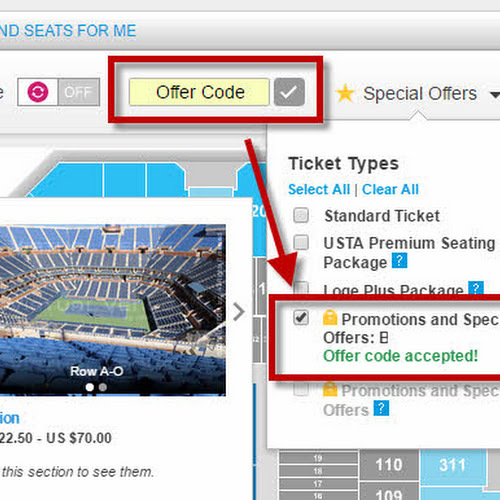 Find "sold-out" US Open tickets here! 1) SAVE TIME - "there are no lines when you order on-line". You can get a price check instantly on the exact seat you want. Updated daily. Prices posted by other actual ticket holders who want to sell great seats. Compare sellers and buyers prices without having to wait long lines. The best seats, even sold out ones are listed for you here. Why would anyone buy them at full retail price anymore?? It is MUCH easier to use the 2-for-1 promo codes that come out each year. In my opinion, think of it as "an extra free ticket" for a friend. Plus you can always sell the extra one through the genuine TicketExchange dealer. This way you can transfer to friends via email, or sell them directly without mailing anything. Get your Labor Day Weekend tickets in early July and sell the session you don't use. Consider buying a US Open Mini-Plan Option (which costs $100 upfront deposit), then sell your extra unused tickets on TicketExchange. Usually you will come out about even. 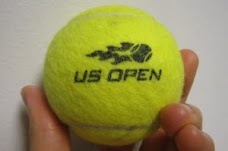 Go sell it online here with the US Open TicketExchange folks. This way you know that there's no worry about getting robbed, cheated by troublemakers or losing money / time because you were impatient to go see the game rather than hang around the outside of a stadium. Plus in this day and age, you do not want to give away private information on your ticket (which may print your full name on it). When you sell it via Ticket Exchange, it will print the new owner's name on the eTicket. Smart. No confusion. You can even email the ticket to a friend. When you travel, how many people still drive to the airport and go to the counter on the day they want to travel? 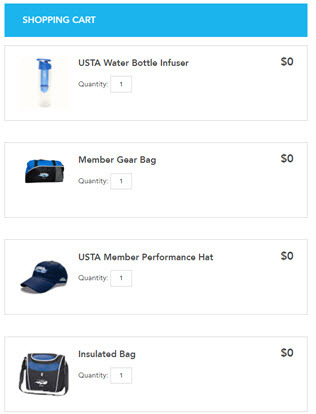 Get our US Open promo codes emails and you'll thank yourself later! If you hear people complaining about how much money they paid for their ticket, just tell them to search for "tennis bargains" next time! We were able to save many of our US Open fans over 30% per seat - with the "sold out" ticket listings and popular 2 for 1 special promos - which almost always beat the best box office prices. The cost savings on closer seats in the Lodge and Court-side saved buyers well in the hundreds for those exclusive seats. Here are some promos and specials - even for other sporting events and things like Broadway shows in NYC.